With the ever-increasing power of online influencers, as a PR agency it is crucial we know how to maximise on influencer relationships so that we can generate opportunities for our clients. A strong relationship with a respected influencer and positive blog reviews can be a great way of increasing brand credibility, raising brand awareness, driving sales and increasing an online presence. 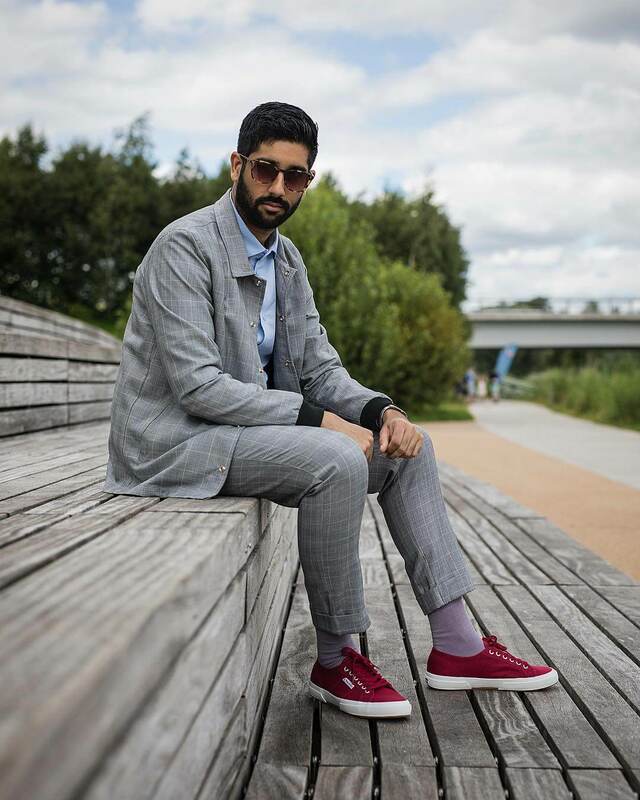 To get the inside scoop first hand, we interviewed three of the UK’s top lifestyle influencers, to talk targeted approaches, PR turn offs and best practice for PRs. 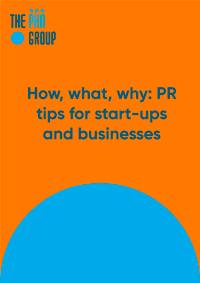 This advice is invaluable and highlights the importance of a targeted approach, considering whether your brand is a good fit before contacting influencers and how to entice influencers to events, with the aim of gaining high quality, and credible endorsements in return. Lauren was first inspired to set up her own beauty, fashion and lifestyle blog after studying PR at University. She has been running her blog and social media channels for over 3 years now, and her goal is to keep her followers informed on the hottest beauty and fashion trends you can find on the high street. How do you like to be approached by PRs/ brands? Definitely via email. I find it easier to develop a working relationship via email in comparison to Instagram direct messages, for example. It enables the chance to have a direct contact to speak to and build a relationship with. What do you look for when it comes to brand partnerships? I think it’s important to only work with brands that you genuinely like and have an interest in. I also find it really encouraging when a brand contacts me with regards to a partnership having really researched my blog / social channels. Do you ever directly approach brands you would like to work with? Yes, absolutely! Because there are so many bloggers we shouldn’t be afraid to reach out to a brand we would like to work with! What do you feel makes for a good blogger/Press event and what entices you to attend? I enjoy attending events that are attended by the PR company / brand as it enables you to introduce yourself and meet somebody that you have been liaising with over email. I have been to a few events in the past where it has been difficult to differentiate press with actual PR’s / employees of the brand, making it difficult to build relationships. In terms of encouraging attendance, I feel it’s important to give the blogger an exclusive. E.g. first look at a new collection or an actual sit-down event whereby you get to hear more about the brand / products etc. For me, it isn’t all about receiving a goodie bag! Which social media channels do you find most engage your followers? Instagram primarily but ever since the algorithm issues, I have found Twitter and Snapchat to be increasingly engaging. Do you have any advice to budding bloggers? I would say go for it! Don’t be afraid that there are already lots of bloggers out there, there is definitely room for everyone and if you are passionate about it then put yourself out there! Be consistent (difficult, I know) but make sure you post about something you love! Carms is a London based lifestyle, fashion and beauty blogger. She uses blogging to explore her interest in fashion, and to express herself. Have you had any bad experiences working with PRs? I have had a few bad experiences, mainly including lack of communication, late payments, different replies from multiple people from the same brand causing lost thread in emails, and having to redraft content multiple times! Is there anything that puts you off working with certain PRs/brands? I usually love working with new PRs and new brands, but honestly I wish brands understood the hardship that goes into the effort of creating content, I sometimes take up unpaid work as I love the brand of the current campaign in hopes of repost or to help build our own profiles, but at the end of the day it is our jobs so paid campaigns, even if not always helps keep a strong relationship with brands/ PR’s as it doesn’t make you feel like you’re always doing it for nothing. Yes – I have done before with brands that I really love, or feel really suited to! This is via email, showing stats and examples to see whether the brand wants to collaborate with too. Do you ever post negative reviews and if so, how do you manage the relationship with the PR or brand? I usually try and be professional even with brands PR’s that I’ve not had a good relationship with – I think being professional but friendly is important! But, if there is an issue, I do usually try to discuss it directly with the brand and try to find a way to overcome the issue. Instagram, even though I am slowing branching to YouTube as I feel like I will be able to engage to my audience there more too! Do you have any advice to budding influencers? Consistency, quality and an aesthetic is key! Keep posting! You will have times where you peak, where you’re slow, but keep yourself inspired! A brand must fit my style and we both must be on the same wavelength. I also look for long term partnerships, I like to have a close relationship with brands so we can bounce ideas off each other and create great content together. How do you distinguish between paid for/non-paid for content on your blog and social media channels? Wording plays a key part in how I distinguish paid/gifted content. I am transparent with my audience about this on my social channels. Also, all paid content is listed under collaborations on my website. It’s good to be paid or be gifted for great content and in some circumstances, product loans. Free articles and content is something I avoid, as it devalues my contents worth. What is the strangest request you have ever received from a PR? One PR sent me a women’s facial mask without any email or prior notice, needless to say I declined featuring it! If I am genuinely passionate or love a brand ill make sure they know, hopefully they keep me mind for future campaigns. Its best to be transparent in this industry and brands rather work with someone who appreciates their product. I find Instagram the most successful for promotion, although for product reviews you can’t beat a website. It’s good to have several social media platforms so you don’t narrow your reach. Create good, interesting, and appropriate content first and foremost, make sure you blog about something you are passionate about and do it for the right reasons. With nearly 300 million records leaked and over £1 billion stolen in the last 12 months, cyber-attacks have been at the forefront of the news agenda like never before. People are now much more aware of cyber security’s importance, following a number of high profile attacks – from the “Impact Team” hacker group which stole and exposed the personal details of more than 11m Ashley Madison members, to the loss of 20,000 TalkTalk customers’ details when it was hacked by teenagers. But the growing importance of cyber security opens up a wealth of opportunities for businesses to own this space and be seen as industry experts – be it by reacting to a breaking news story or educating the public on how to keep their data secure. Here we explore four key tips for raising the profile of your cyber security business. It’s important to be able to bring your brand to life and personalise it through compelling case studies. A key element of PR is about telling stories and humanising a brand. This is particularly important for tech brands with complex innovation at the heart of their product; for cyber security businesses we always recommend publicising the actual adoption of their product or services for the greater good. 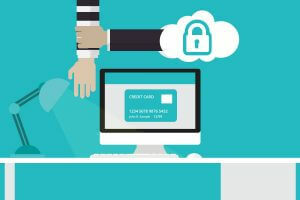 Consider how you have actually helped customers protect their data or overcome a security breach, and use this material as one of your key PR tools. Case studies of your brand’s impact not only creates engaging content, but also brings credibility to the claims you make to potential customers. Real-life stories also help to educate the general public about your field and help them relate to your brand. A key strand of PR activity is to hijack the news agenda and secure comment opportunities for your spokesperson on breaking stories. Ultimately you want viewers to associate your brand with the story and to position you as the go-to industry expert. The many broadcast news channels such as Sky News, CNBC and Bloomberg offer great opportunities for guest comment and are really effective platforms to generate exposure for your brand, so when a high profile data breach or hacking story breaks, you need to take the opportunity. Think about the cyber-attacks that have been and gone over the last 12 months – Vodafone, HSBC, AT&T and the government of Turkey have all been subject to hacking, and all these stories were headline news and covered in depth on TV and radio. Consider the expertise you have to hand and how you can weave this into the debate and offer authoritative insight. 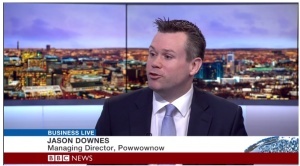 We regularly secure interviews for the CEOs and MDs of our tech clients – such as Jason Downes, MD of Powwownow, who recently appeared on BBC Business Live to discuss the future of the commute. When there isn’t a breaking story to comment on, you can to an extent create the news agenda by releasing industry-relevant data stemming from your own research, such as a survey of your customer database. This is a good way of owning statistics which, again, help position you as experts at the forefront of your industry and benefit your corporate profile. From this data you can stagger a variety of stories tailored for the industry, technology and consumer press – we always recommend considering which interesting trends you can reveal and the headlines you can create (e.g. ‘A third of businesses are unaware they have been hacked’) with never before seen facts and figures from surveys. A major part of raising your brand’s profile is to be perceived as an expert by potential customers, who may or may not choose your services based on what they can learn from you. With an issue as complex as cyber security, a large proportion of businesses are still uneducated as to how they can minimise the threat of attacks through basic day-to-day practices, let alone which technologies they need to implement and invest in if an attack occurs. Thought leadership content is a great way of educating and building trust with your target audience. To raise the profile of your cyber security brand, remember to shout about your success stories and how you have made a tangible difference to your customers’ operations, while staying on top of the news agenda and thinking about how you can own the discussion using your expertise. Own unique data and insight to create headlines with your brand at the heart of the story, and to complement all this, educate your audience and potential customers with informed thought content across print and online. We recently identified some cyber security companies making positive noise in this space – including Cyber Vista and Inside Secure, which were featured in our roundup of 10 safety and security companies to watch in 2016. 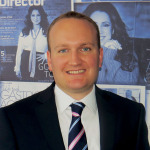 The PHA Group’s Public Affairs team is led by our Head of Political Strategy, Tim Snowball. 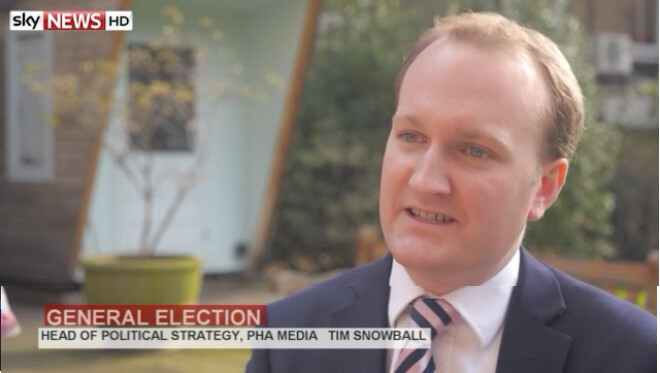 During his eight year political career Tim was a close Political Adviser to the former Deputy Prime Minister, Nick Clegg MP, while working in various roles in Parliament, Government and as Director of Communications for the Liberal Democrats. 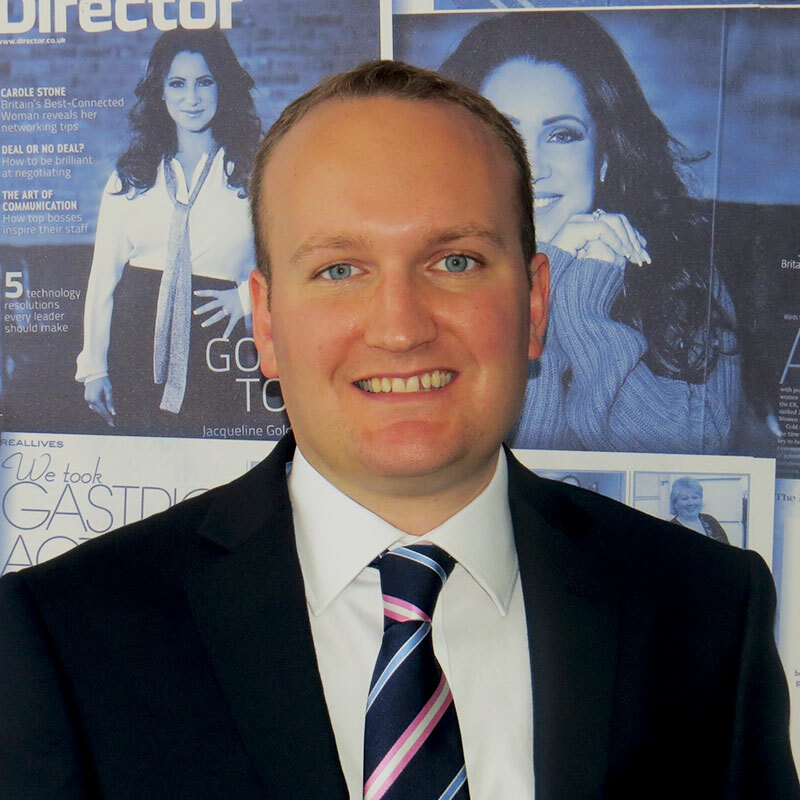 A year on since his move to Public Affairs, The PHA Group’s David Brookes asks Tim about his career, the move to public affairs and how he is using his past experiences to help The PHA Group’s clients now. Q: Over the last decade you’ve worked on a huge number of campaigns. What have been some of the highlights for you? In politics, three campaigns that I have worked on stand out. Nick Clegg and Joanna Lumley’s successful campaign to secure residence rights for Gurkhas in 2008; the “Cleggmania” 2010 General Election campaign, which I coordinated from Lib Dem HQ; and the Liberal Democrat’s successful campaign to raise the tax threshold for millions of ordinary people, the promotion of which was a focus for a large part of my time as Liberal Democrat Director of Communications. All were successful because they had a clear goal, involved an integrated communications approach and had a lot of energy behind them. Q: You were in the room when the 2010 coalition was formed. Can you give us a behind the scenes glimpse of what this was like? Frenetic! Everyone was exhausted after the General Election, but there was intense pressure to form a stable government quickly to ensure stability in the markets. There was a real sense of both responsibility and opportunity. I accompanied Nick Clegg for the bilateral negotiations with David Cameron and Gordon Brown. What was striking was the different approaches taken by Clegg and Cameron. While David Cameron negotiated pragmatically considering what was politically doable, Nick Clegg started from values and policy priorities. 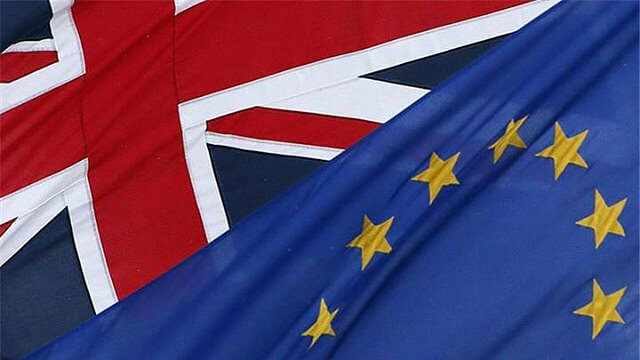 Although the Lib Dems were widely regarded as achieving a lot from the negotiations, recent history has perhaps demonstrated that a more political approach would have been better in the long run! 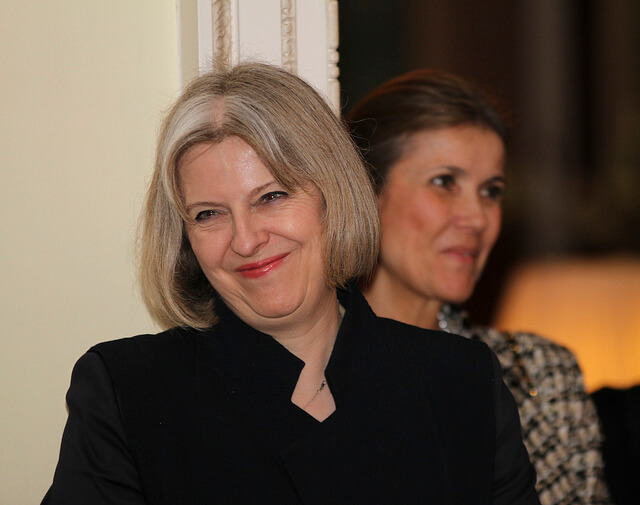 Q: Up until July 2015 you were political advisor to the Deputy PM. Why did you decide to leave politics move into public affairs? Working for Nick Clegg for eight years was an enormous privilege and I am very proud of what I and the Liberal Democrats achieved in government. But eight years is a long time in any career and I felt the time was right in 2014 to move into the commercial world. The opportunity to work for a dynamic and fast growing firm like The PHA Group, and to build a new public affairs team that combined the best of PR, campaigning and communications strategy was too good to pass up. A year on, Public Affairs is now a core PHA offering and one that the company is rightly proud of. We offer a first rate service, that gives our clients a unique tailor-made experience and the comfort of knowing that the people that impress them at pitch will be the same people who deliver their account. Q: Do you feel that your background gives you an advantage over other public affairs advisors? I have been fortunate to have worked in parliament, at the heart of government and at a party headquarters; to help shape strategy, run campaigns and be part of policy making. This means that I am well placed to give our clients rounded advice based on experience of how decisions are really made. I am also delighted to have been able to bring on board talented colleagues with similarly front line experience across the political spectrum. Our latest hire is Emily Burditt, who joins us from the parliamentary office of Cabinet Minister Robert Halfon MP, the Deputy Chairman of the Conservative Party. Q: Since you joined PHA what sort of campaigns have you worked on? 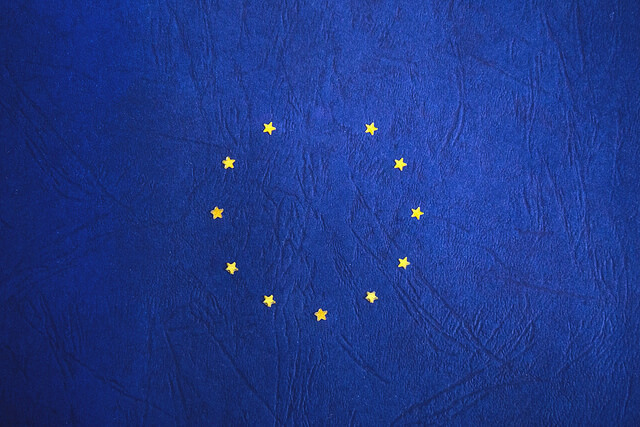 At PHA we are currently helping British Pensioners living overseas (represented by the ICBP) to secure the right to receive annual uprating on their state pensions. We are supporting Living and Dying Well to communicate their evidence based perspective ahead of an anticipated assisted suicide debate; and we are helping the Loomba Foundation secure profile for International Widow’s Day. On the corporate side, at the end of last year we ran a successful campaign to launch Xendpay, a remittance service designed to challenge the wider money transfer market, reducing costs for consumers. The company has secured praise in parliament and at the UN, and experienced unprecedented growth. Q: What has been the highlight? The highlights are the breakthroughs. When an individual we are working with finally secures their desired role or when we have made genuine progress with the government on behalf of one of our campaigns. Achieving change is what public affairs is all about. Q: Where do you have particular expertise? At the moment we’ve made a conscious decision to remain a generalist agency, rather than to specialise in a particular policy area. Ultimately our offering is the strategic communications expertise and political experience that allows us to ensure that all our clients can pursue their objectives effectively, whatever their sector or industry. At the moment we are working with clients from the private, public and charity sectors, and covering finance, retail, international development, politics, leisure, entertainment and representative bodies. 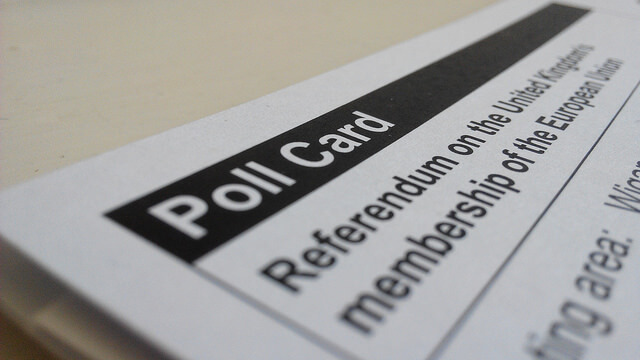 Q: Which groups in particular do you think would benefit for a public affairs strategy now? The PHA Group’s Public Affairs team specialise in two key areas; integrated campaigns and individuals. Now is a perfect time for organisations, whether corporate or third sector, who want to change their relationship with government, or shift their reputation in parliament, to re-consider their public affairs approach. Many of our new clients join us after long standing public affairs relationships with other agencies and say they see a significant shift in energy and momentum when they move to us. For individuals with political ambitions now is a great time to take a more strategic approach. Often the world of politics can be bewildering or frustrating. The PHA Group can help realise goals in a way that builds on, rather than risks, your reputation. We are currently working with high profile individuals with business backgrounds who want to get more involved with each of the major parties. Q: What’s the difference between Public Affairs and PR? Both Public Relations and Public Affairs are fundamentally about reputation management and influence. The difference is the audience. While PR focuses on influence through journalists, Public Affairs focuses on influencing politicians (or sometimes politicians through politicians). The truth is however, politicians don’t exist in a bubble. They consume traditional and social media like the rest of us. Therefore the most effective public affairs campaigns are integrated. At The PHA Group we call it “hand in glove” working and it’s one of the things I think we are particularly good at. We live in the age of #social. From the alarm going off with an update first thing, to the last re-tweet before closing your eyes, our lives are swimming in big data. In turn, content is scheduled and targeted to within a second of our lifestyle habits. Creative and incentivised campaigns consume and entice us into liking, sharing, retweeting, re-pinning, registering and downloading. 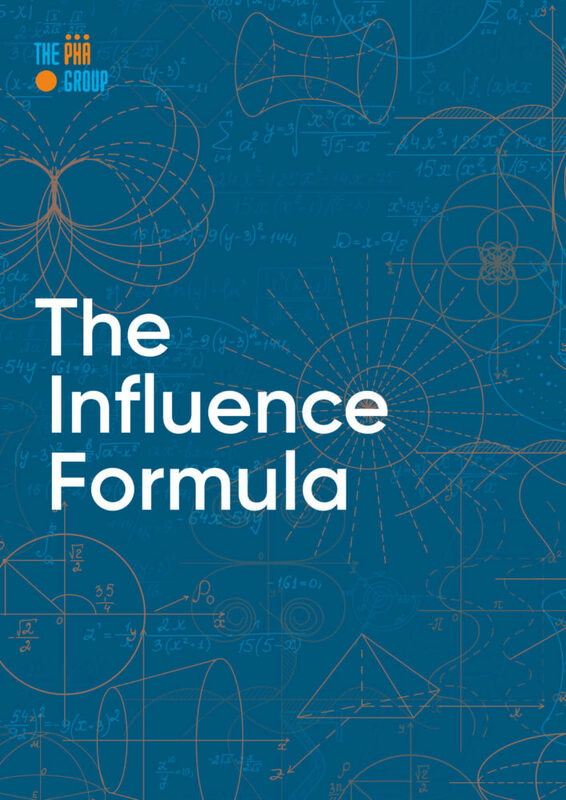 Key Influencers guide or provide us and millions with their opinions. All via the iPhone, whilst we’re watching something different on the iPad, whilst another “The future of social” channel has sneaked in via the Android. And that’s just our personal social habits. Amongst all of this, our individual social footprint, our profiles and interests, indeed our daily existence is pursued by multiple brands, all competing for our attention and engagement across the myriad of social channels and apps via multiple platforms. It’s the way that we as individuals and the brands we engage with, now tell our stories. There are a wide number of topical blogs predicting the social trends for 2015, including some of the obvious, some of the amazing and some of the obscure. It’s all positive. The beauty of Social and Creativity is that it morphs, adapts and expands on the platforms it is provided with, be that new or existing. So rather than predicting the next big social channel, which at this moment in time may still subject to #Crowdfunding, what are some of the key social media techniques and mythologies that will help brands cut through that digital noise and tell their story today? It’s nothing new, but as more brands fight in the clutter of digital and social space, the use of visual content to promoting a brand, an offer, a product or simply to tell a story will be of more importance. We’re time poor, so we scan timelines or go on recommendations. As a result we like smart creative, often simple ideas. We see them as they are visual as we flick down timelines or we share them on recommendations of their creativity. But if everyone just scheduled visual images, we’d just be in a slightly different big data boat. Visual content can take shape in a range of formats. Whilst not new, the ever creative expansion of Infographics neatly compresses big data for us into bite size chunks, provide effective methods to communicate anything from intensely factual information through to top level, key brand messaging. Meanwhile as creative campaigns integrate across multiple channels and platforms, the use of short form animation (from animated GIFs, through to cinemagraphs along with the short creative video clips), helps us to engage. A percentage of that content, which the creative team have spent far too long on, often sees little or no immediate engagement. Despite using the best hashtag ever, it still plummets down the timeline. If the idea has been developed to engage with the “known” interest and habits of the intended audience do make sure it’s scheduled around when they are receptive to engage, and on the channels and devises they use. And don’t forget to adhere to social channel guidelines. When scheduled and targeted at the right times on the right channels, in the right way, that brilliant, creative idea or campaign will create engagement. In line with this, as Facebook and Twitter continue to develop their paid for, sponsored and promoted algorithms, it’s generally recognised that the days of pure organic growth and related engagements are dwindling. That said, the Insights available for these platforms almost ensure that your content will at least be within the sofa area of your intended audience. And you can experiment and dabble without breaking the marketing budget. Paid for also doesn’t stifle creativity. Using different paid for functionality, in a creative manner, such as Tweetcards, will always help your sponsored campaign cut through the sponsored campaigns. You don’t need an algorithm to work that out. Everyone from content marketers through to PR agencies can see the continued convergence of SEO and Social media. As platforms continue to map our coffee tastes with our location via our colleagues favourite barista, the smart evolution of social based search will continue at pace. “Real” reviews, (for which Google + is no longer an empty room waiting for the party to start) provide personalised sentiment, which in turn adds authenticity, whilst Influencer campaigns are an incredibly effective method of swimming ahead of the big data current. Similarly to producing any form of campaign, identifying the correct key influencer starts with the strategy and planning. Create an integrated content plan around your core audiences. Be smart about how you create content. Have a crisis plan, as some things may go wrong. It’s the way the world spins. Developing strategies and creative campaigns to tell your digital story takes time. But it’s time worth investing in, as social content is ultimately for a digital footprint life, not just a one off timeline. 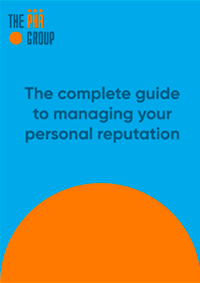 When it comes to protecting the reputation of your organisation, brand or personal profile there are many tactics and strategies you can employ (see our top ten tips here (link)). 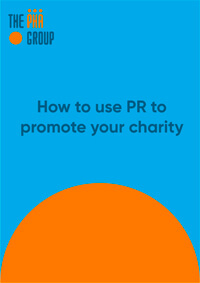 Often the best way to protect your reputation is to take a pro-active rather than a reactive approach and in this example we illustrate how launching a PR campaign to raise awareness about an issue can, in the long term, safeguard your reputation. In 2013 the long-term reputation of the British justice system was deemed to be under serious threat when Justice Secretary, Chris Grayling, proposed changes to the UK’s legal aid system. Grayling discussed measures including price competitive tendering for legal aid contracts, the removal of choice of legal representation and an income cut off for legal aid for households earning and income of £37,000 per annum or more. He stated that these changes could save taxpayers £200 million. Immediately there was a backlash from barristers, solicitors and members of the legal profession who believed these moves could seriously damage the reputation of the justice system. 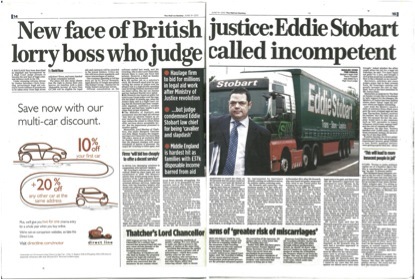 The argument was that by removing access to legal aid and creating a system where any company could pitch for legal contracts, the quality of British justice would be seriously undermined. 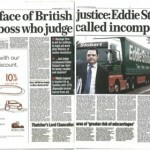 The Criminal Bar Association tasked The PHA Group with launching a PR campaign to put pressure on the Government to change their stance on legal aid, avoiding a system where the legal help could be sold to the lowest bidder and safeguarding the legal professions future reputation. 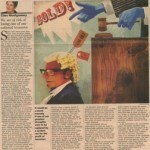 • To force the Government to take seriously the objections of the united legal profession. • To allowing the legal profession time to put forward alternative cost-saving measures which maintain the fairness of the justice system and protect the rights of ordinary people. • This was to be done within a 40 day consultation period. Our first action was to identify case study examples of personal stories that would resonate with the public and highlight the importance of legal aid. One story we identified, for example, included a grandfather who was wrongly accused of possessing indecent images of children (actually holiday photos of his grandson). Without legal aid he wouldn’t have been able to afford the legal support which saw him found innocent of all charges within 30 minutes. The next step was to target specific media outlets (including the regional, national and broadcast media), developing strong angles that would generate coverage and raise the profile of the campaign. The campaign saw more than 40 pieces of national media coverage, keeping the issue firmly on the agenda of the public and politicians alike. Through sheer weight of coverage and the public and political pressure this generated, we were able to force the government into shelving the proposed £220m cuts for a minimum of one year. A huge victory and one which has given the legal profession added time to prepare their arguments in a bid to save their livelihood and reputation.